This scenic self-drive visits Iceland's scenic Snaefellsnes peninsula and the lesser-known Westfjords, taking in remote villages, seabird cliffs and historic saga sites alike. 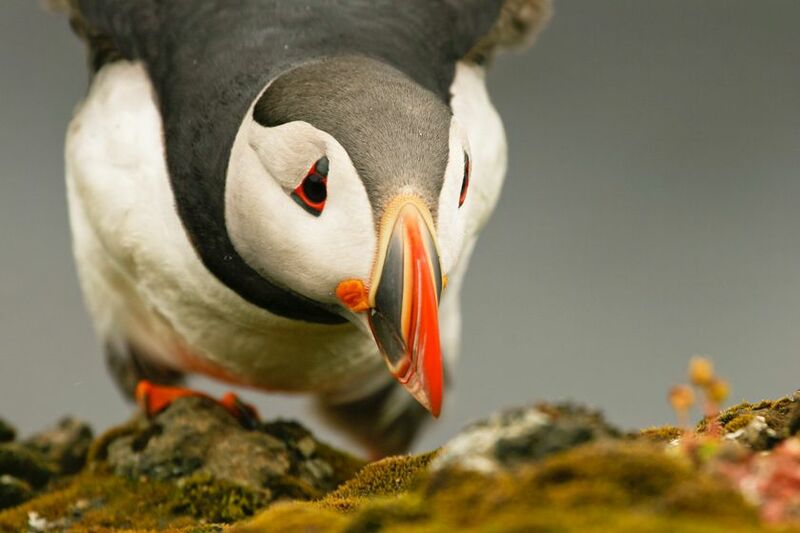 In the summer months, millions of puffins breed at the 14-kilometre-long cliff at Látrabjarg and this is one of the prime destinations for bird watching, but other species including eiders, guillemots and arctic terns can also be seen in the West Fjords. We also recommend a visit to the Museum of Sorcery and Witchcraft in the regional capital, Ísafjördur, before continuing into some of the country's least populated but most spectacular landscapes, finally heading back to Reykjavik via the wonders of the Golden Circle tourist route. Arrive at Keflavik Airport, where you'll pick up your car to begin your self-drive experience. 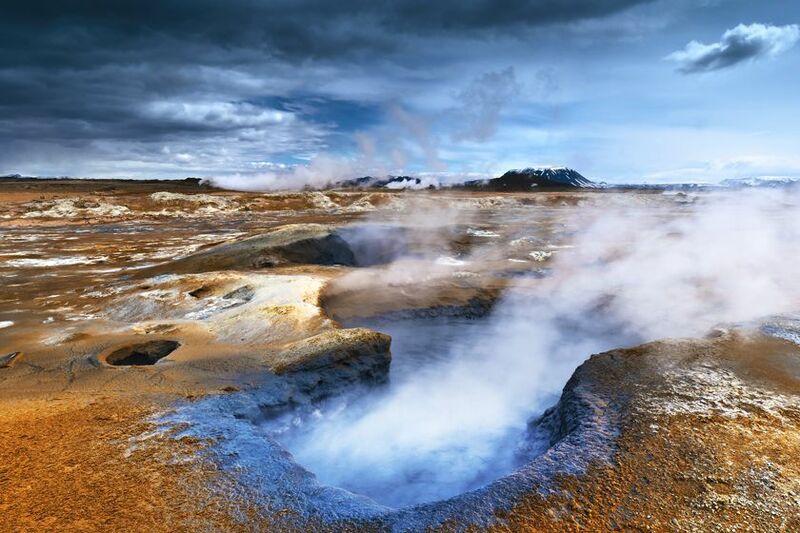 Depending on your arrival time in Iceland, perhaps visit the renowned Blue Lagoon and relax in the geothermal water, before heading on to Hveragerdi, a charming village on the Reykjanes Peninsula known for its dramatic volcanic landscapes and hot spring-heated greenhouses. 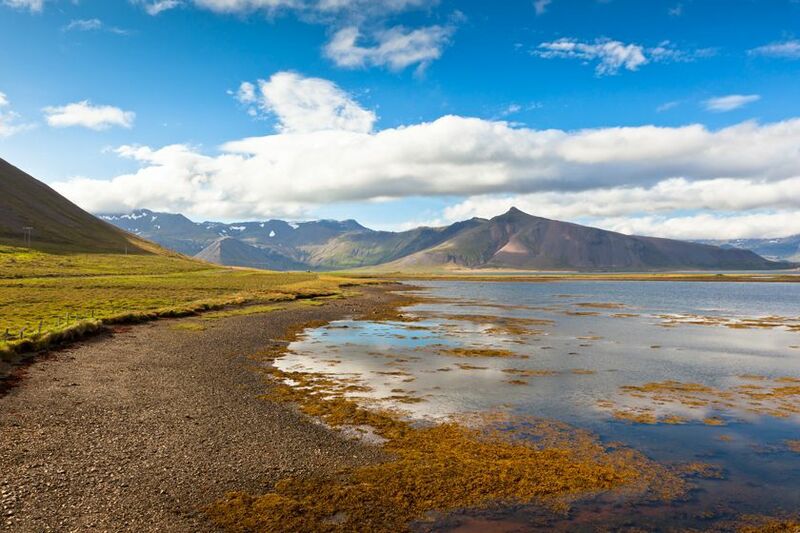 Leave Reykjavik and travel along the western coast towards the Snaefellsnes peninsula. En route, pass the perfectly formed Eldborg crater, which looks like a moonscape. 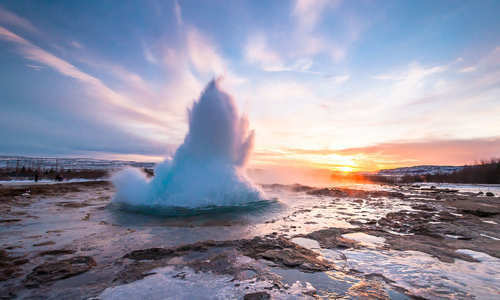 Explore the extraordinary variety of natural wonders along the peninsula, from the rich birdlife at Arnarstapi sea cliffs to pleasant hiking along the shiny pebble beach at Djupalonssandur. Throughout the day, glimpse views of Snaefellsjokull glacier, the icy cone-shaped peak that covers a dormant volcano that last erupted in 250 AD. Sail across Breioafjordur Bay, which is home to an archipelago of 3,000 tiny islands inhabited by nesting seabirds and playful seals. Upon reaching the remote Westfjords, explore the Latrabjarg cliffs, the westernmost point in Europe. The remarkable 441 metre high sea cliffs are alive with millions of playful puffins, gannets, guillemots and razorbills. This beautiful natural phenomenon has been regocnised by both Lonely Planet and the National Geographic as one of the greatest wildlife spectacles in the world. The cliffs make a stunning viewpoint to the beautiful beaches below, especially during the Midnight Sun of the summer. Travelling across the spectacular Westfjords, you'll pass by thermal bathing springs hidden amid the heathlands. Then, at Dynjandi waterfall, watch the thunderous power of the main cascade as it drops some 100 meters from the mountains above. It also provides a wonderful vantage point from which to take in the surrounding valleys. 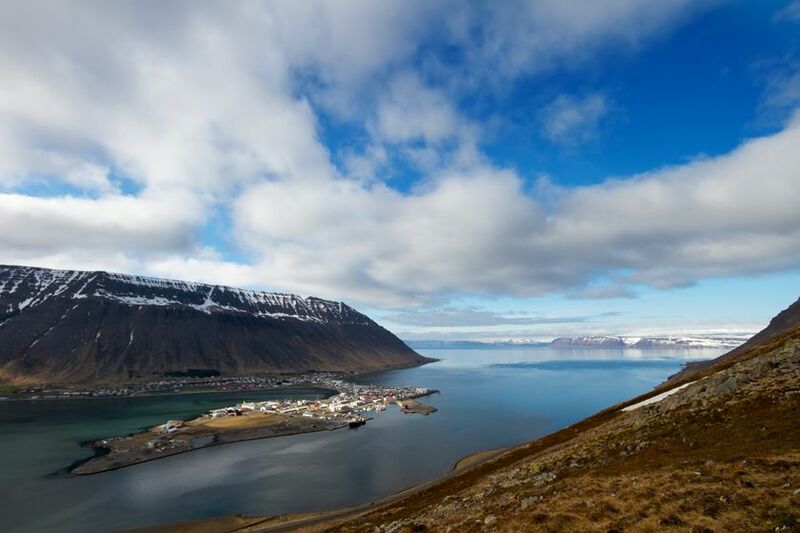 You'll then head to the fishing village of Thingeyri before arriving into remote Isafjordur. Drive the numerous uninhabited inlets of Isafjardardjup Fjord, with a beautiful coastline teeming with seals and birdlife, towards Holmavik village. 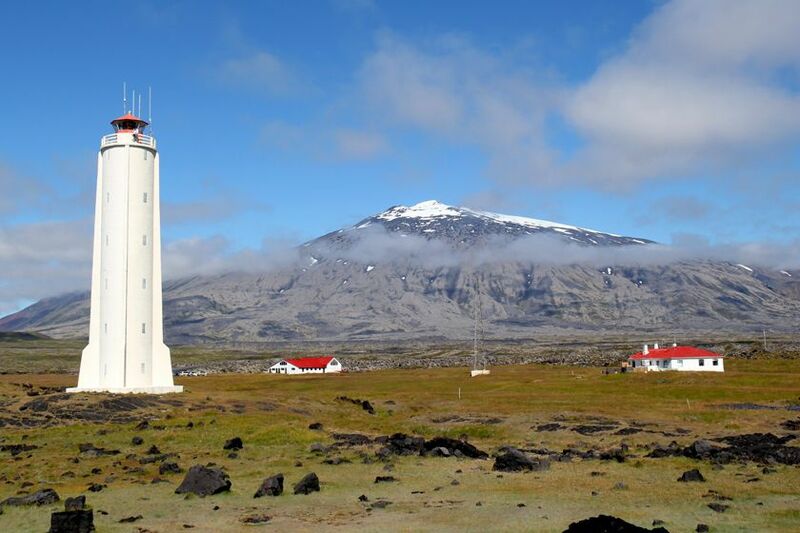 Take an excursion to the Strandir coast, one of the least visited corners of Iceland. This remote and desolate wilderness has an air of mystery, where you can hike the breathtaking moorlands, soak in the natural geothermal pools, and learn about ancient sorcery and witchcraft. End your day in the fertile green valleys of Laugar Saelingsdalur, an area rich in ancient Saga folklore and history. Drive to Eiriksstadir, the Viking Age home of Erik the Red and birthplace of his son Leif Eiriksson who discovered North America. See the turf-covered replica of his longhouse and the adjacent excavation site where you can stand on Leif's doorstep and enjoy his same magnificent view overlooking Haukadalur valley. Heading through Borgarfjordur visit Hraunfoss waterfall where the water shimmers from moss-covered lava into cerulean waters below, and Barnafoss Falls, which have a mysterious secret to reveal. Be sure to stop at Deildartunguhver, Europe's most powerful hot spring where you can buy organic tomatoes grown using geothermal heat. Continue via Hvalfjordur (Whale) Fjord to Reykjavik. Depart Reykjavik and drop off your car at Keflavik airport before flying home. Please note that although the road quality in the Westfjords has improved drastically over the last decade, it is still an area where it's vital for your own safety to drive slowly because the roads are winding, gravelly and unpaved. 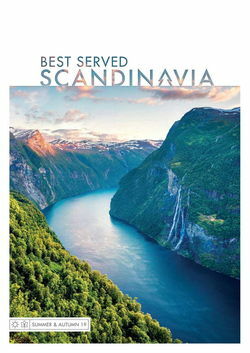 Whenever you find yourself in Denmark, Sweden, Norway or Iceland, knowing the weather patterns and having the right clothes in your suitcase will ensure you have exactly the trip you want. 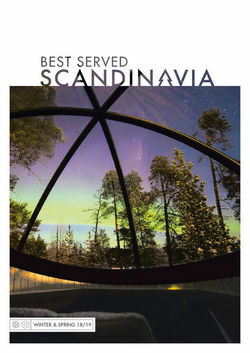 Here’s what travellers should keep in mind for each Scandi season.